According to my son these are the three keys to successful fishing. Based on his success it’s hard to argue. Now granted, he tends to have different criteria for what constitutes a “catch” but he still does better than I do on the fly. Yesterday’s competition ended up at 28-17 in his favor. If I were counting his score might have been a bit lower. The name of the game is match the hatch. 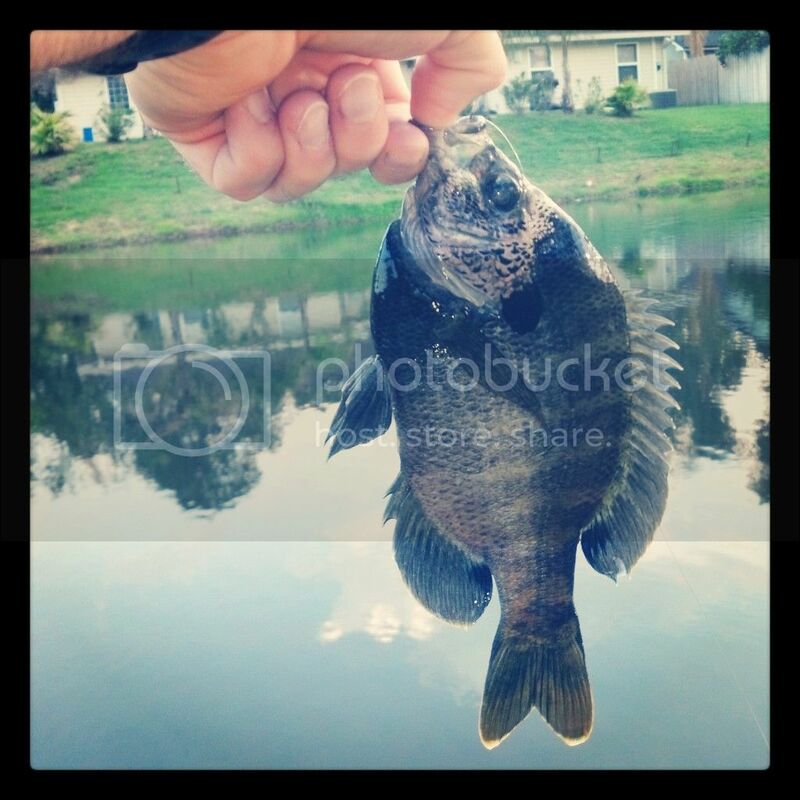 Ok, so you don’t really have a hatch to worry about with bluegill but you get the point. Normally the grasshopper is the go-to fly for the pond. Last night I tried in vain for thirty minutes and didn’t get so much as a nibble. I finally gave up and swapped the grasshopper out for a rainbow warrior. Almost instantly they started hitting it like crazy. They weren’t necessarily scary beasts but they were fun. Don’t worry, they got bigger then this guy. I swear! I just didn’t take pics of all of them. I do have to question his logic to a degree. If he isn’t catching fish he’s not very patient. When he drops a line in and immediately gets a bite he doesn’t demonstrate a lot of skill. But the hot dogs are difficult to disagree with. I’m not sure if they’re picky or not but they seem to love Ball Park 100% beef franks. Bun-length provides a good amount of bait. I slice lengthwise, flip, and slice again. Each crosscut then yields four pieces and two hot dogs almost fill a Ziploc snack-size bag. I didn’t have any luck chasing reds on the flood tide last weekend so this was a good alternative. So now that I’ve (well, he’s) equipped you with the proper knowledge for a good day on the water, get out there and wet those lines! I think that most of us would agree that it’s important to have a good understanding of our fisheries. Unfortunately Florida no longer has a volunteer tagging program though there are private endeavors such as the work done by the Bonefish & Tarpon Trust which targets some species. However, Louisiana seems to have a pretty good tagging program and is interested in out-of-state fish as well. Several of us locally have signed up for the program. 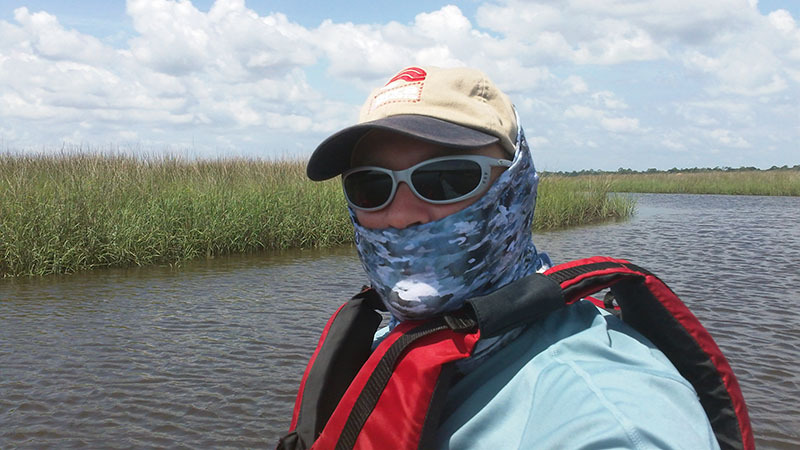 I’m looking forward to getting involved with this program in the hopes that we’ll learn about how the sea trout and redfish in NE Florida move and grow. It’s easy to join the Cooperative Marine Fish Tagging Program so join us in the fun! 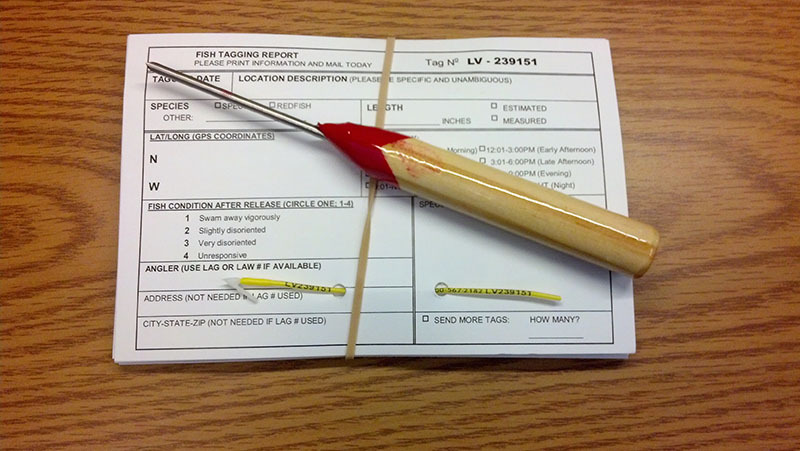 When your tagging packet arrives you’ll be ready to hit the water. 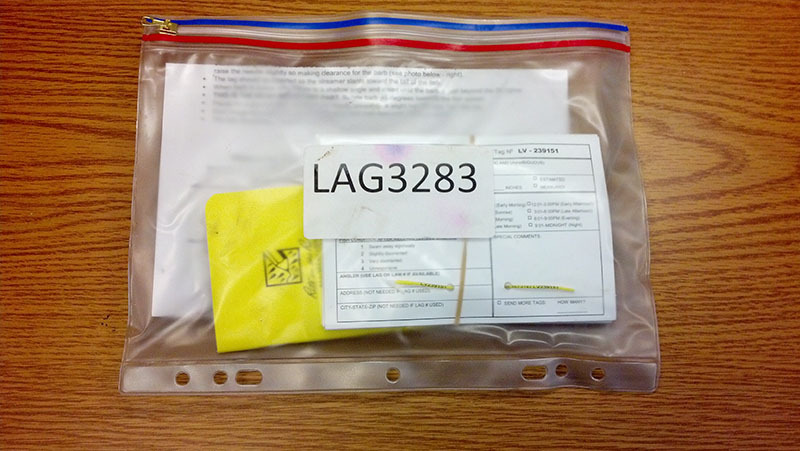 The packet includes a stack of tags and cards to return when you’ve tagged some fish, an insertion tool, Rite In Rain notebook, pen, instructions, and a plastic pouch to carry it all. 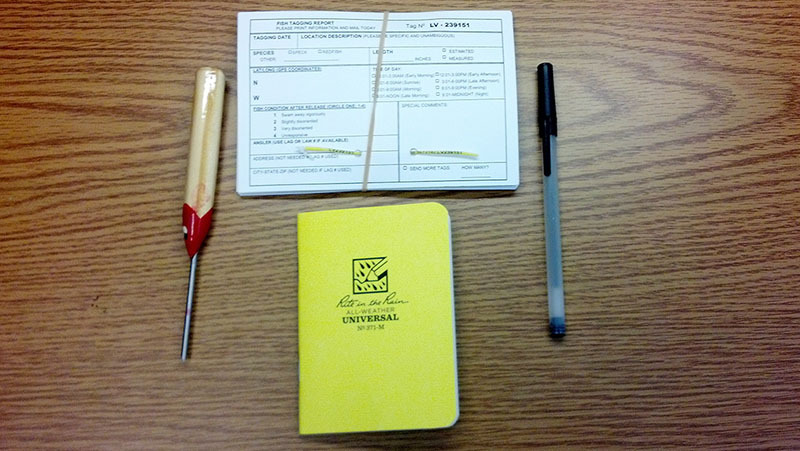 You’ll also get some stickers, a pamphlet to share, and a nice t-shirt. I don’t know if any tagging I do will have any impact but I like to think so. Oh dear, what have I done? Ok, so after dumping my yak I started thinking harder about a sealed drag. None of my reels have them. I’d been eyeing the Sage reels at my fly shop for a while and decided it was time to do the deed. I have to admit that $139 for a sealed drag isn’t too shabby…especially with the Sage name on it. I figured it wouldn’t be long before one followed me home. I now have the Sage 1850 for my Response 5-wt and the 1880 for my BVK 8-wt. I’m really tempted to try out the Sage Approach. I’ll have to see if they have it in stock. Sure wish I could get the ONE but I’m pretty certain that’ll never happen. Today was the day to break my streak of skunks. 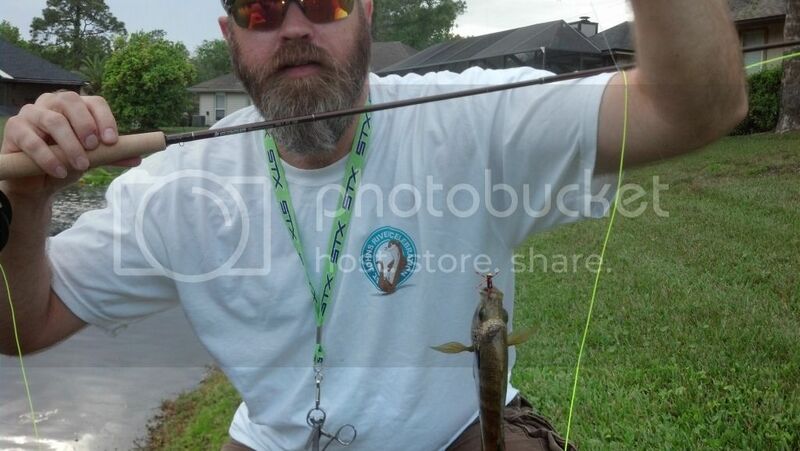 I normally fish alone but saw a posting on the forum for someone looking for a partner and I decided to chime in. I ended up meeting James at the Oak Harbor boat ramp about an hour before dead low and we paddled out to get into position. It was a beautiful day and the weather was just about perfect. While the fishing wasn’t as hot as I’d hoped it wasn’t bad. James hooked up a lot more than I did (we fly anglers get used to that) and landed about three catfish, some whiting, and a stingray. 🙂 I’d only managed to knock out one small fish myself but it was fun. It always feels good to catch something on a fly that you tied. We hit just about every hole we could find and did our best to combat the wind. 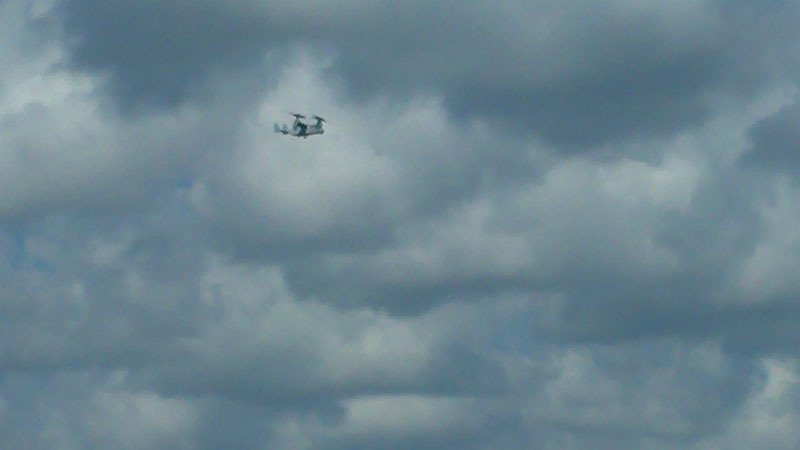 We even got a cool glimpse of the Navy’s V22 Osprey flying around. I was in the main creek trying to cast into a cut and wasn’t having any luck getting anything to bite. I decided to change things up and paddled into the cut so I’d be casting out to the creek. Unfortunately this also meant I’d be casting into the wind. I only needed to cover about 30′, though, so it wasn’t too bad. As I was stripping the second cast the line went tight! There wasn’t much stripping to do and that’s when I realized I’d just caught my first flounder on the fly! Unfortunately he wasn’t legal but I probably would’ve released him regardless. We decided to head back towards the ramp so we could hit some of the docks as the tide pushed in. As we made the paddle I saw the perfect cut. The water was calm and the grass blocked most of it. Then I saw movement. Unfortunately it wasn’t meant to be. I should’ve known that things were going south when I got tangled up for the second time. I was staked out so the current wasn’t affecting me and I was determined to see what was moving the water. I had been paddling with the seat of my Slayer in the high position and that would prove to be a fateful decision. I reached out to catch the line to untangle it and in a split second I was in the water. There was no uh-oh moment. No sense at all that it was coming. One second I was dry and the next I was soaked. I was also past my knees in mud. Fortunately I didn’t sink too far. I also somehow managed to stop the Slayer from going completely over and managed to quickly fish my stuff out of the water. When I got back in the cockpit I realized that my camera was gone. It’s waterproof but apparently sinks like a rock. I climbed back out and felt around in the mud with my foot and was pleasantly surprised to find it. A quick scoop with the net and I was back in business. We pushed on and while I was muddy I have to admit that it was a refreshing dip. We headed down the canal and it was cool to check out the houses and various boats. We didn’t do a heck of a lot better here and decided to call it a day. All in all I certainly couldn’t complain. Yes, I’d taken a swim but I’d also broken my streak. When I got back to the ramp I noticed that the bungee that secures the seat to the cockpit had come off on one side. I have a feeling that when I leaned it may have slipped free allowing the seat to shift which threw the boat off and me in the water. I’ve learned to be even more careful in the high position. Perhaps the best part of the day is that not only did we have a great time but we also made new friends. I’m looking forward to more trips with James. 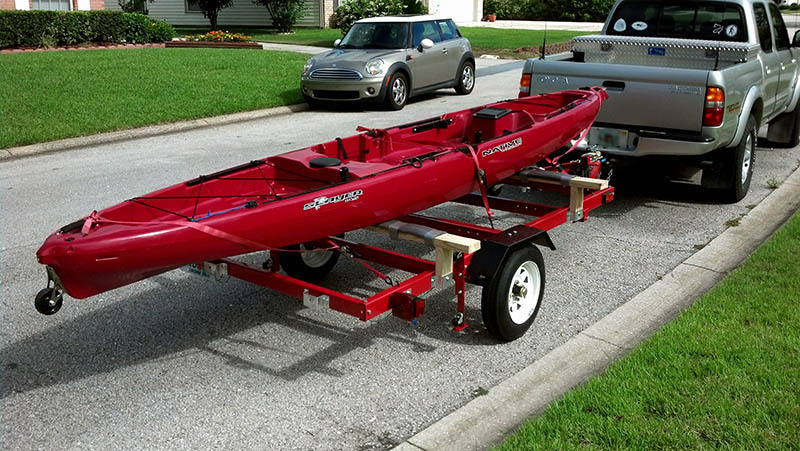 I have wanted a trailer for a very long time. I can’t tell you how many times I’ve had to borrow a trailer for whatever reason. Worst case I’d find myself having to rent one instead. As much as I longed for one, though, the options didn’t look good. I really wanted at least a 5×10′ but there was no way that was going to fit into the garage and I only have 4′ gates so the backyard was out of the picture as well. It took me part of three days to assemble. On Tuesday I put the front half together. On Thursday I knocked out the rear half. Yesterday I packed the bearings and assembled the axle/wheel assembly and ran the wiring for the lights. Yesterday was by far the most time-consuming part of the project. Of course it didn’t help that the cheap brass zerk fitting on the left hub snapped off when I was removing the grease gun and I had to make another trip to the store for a replacement. Oh well, it all worked out. 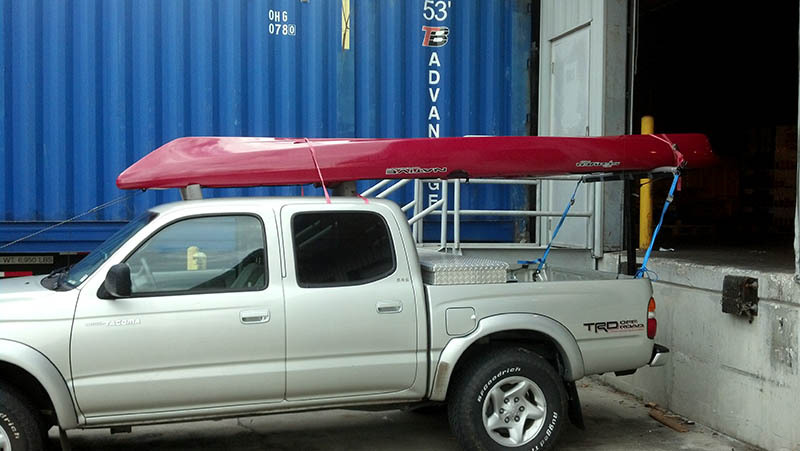 Today I worked on kayak mounts. 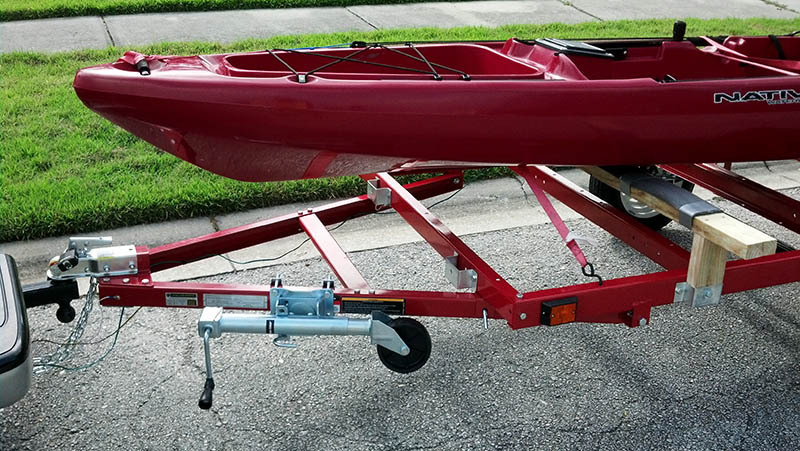 I realized I cut my padding a little short so I’ll have to re-pad it so I can carry two boats. I’m pretty happy with how it came out, though. It rides very well. Bumps do jostle it a bit but it’s a very light trailer (250 pounds) and even with the Slayer tied down it’s barely over 300. I was hoping I’d knock the stands out pretty quickly but the Chinese had other plans. It seems that the stake pockets are too narrow for a standard 2×4 so I had to break out the table saw to trim them up. I ran 3/8″ bolts through each upright to secure them but I’m thinking of changing them out for something faster. I’ll have to test the theory, though. I don’t want to give up too much stability in the name of speed. I made a quick trip to Northern Tool to pick up a trailer jack. One thing I hate doing is resting the coupler on the ground or having to lug around a block or something to set it on. For those rare times I have the trailer setup and not connected to the truck I can now keep it level. While this will primarily be used for the yaks, I’m happy to have something to make big trips to Home Depot and Lowes less of a chore. I can use it to haul the big mower for doing trail work, and it’ll let me distribute the load when camping so I don’t completely block my vision to the rear when I’m loaded down like the Beverly Hillbillies. Of course this will all come later this week when I lay the decking and build some sides. Most of all, I’m excited that I no longer have to struggle trying to lift this beast of a yak over my head and onto the roof of my truck! Ok, maybe that’s not 100% accurate. Perhaps it’s due more to chuckling than fear. Either way, it’s a good title and I’m sticking with it. Over Memorial Day weekend I finally fulfilled a dream. I left the muddy, murky creeks behind and headed north to the crystal clear streams and rivers of Georgia. 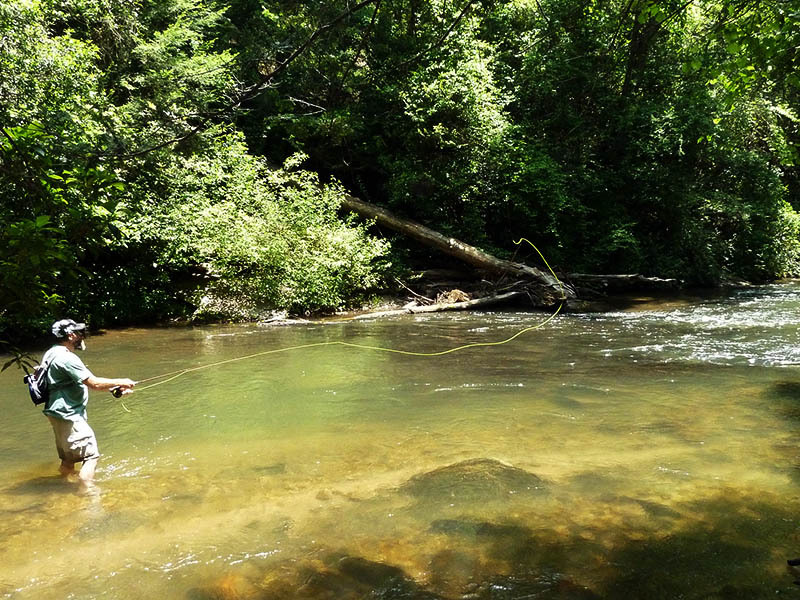 Jenny’s Creek Campground became the base of operations and was centrally located amidst some fine trout fishing. Saturday was spent at Unicoi Outfitters. I interrogated one of the employees about the local fishing and left with a nice collection of wet and dry flies. My goal was public water for this trip. In hindsight I should’ve sucked it up and gone private. More importantly I should’ve gone with a guide. I knew better and I still didn’t. Sunday morning I headed towards Clarkesville, GA. Just south of Brigadoon Lodge and Blackhawk Fly Fishing I pulled off to the public parking at the Jackson Bridge on GA197. 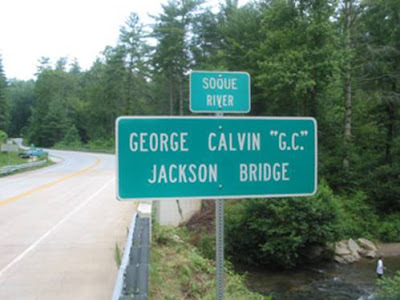 The bridge marks a 1-mile stretch of public fishing. I brought my waders but hadn’t really planned on wading. I guess you could say I’m cheap. I couldn’t see spending money on boots when I’ll get very little use out of them. I’d talked to Unicoi about renting some but they were booked with holiday trips and I needed to get to the store by Fri. Unfortunately with my work schedule that wasn’t possible. Unfortunately aside from the area in the immediate vicinity of the bridge there’s very little open area and wading really is the only option. I wasn’t about to be so close to my dream without realizing it so I sucked it up and headed into the ice-cold water in my shorts and Crocs. I’m pretty sure there were a few times I stopped feeling my feet and legs. This really was an eye opener and I quickly realized that I didn’t have a clue as to what I was doing or what I needed to be doing. The differences between freshwater (stream) and saltwater fly fishing are astounding and it’s akin to their being two different activities. 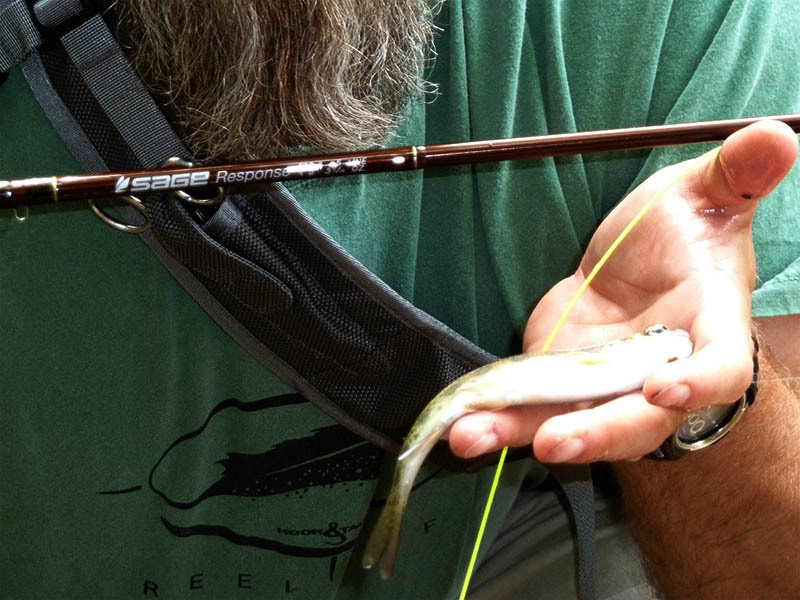 I delicately dropped a rainbow warrior into the water with a short cast upstream. The line was about to reach the bridge and I began to strip the it. The current was moving quickly. The line was sucking to the water and the tip of my Sage rod was bending slightly. At the end of my leader with the fly firmly embedded was my very first rainbow trout! 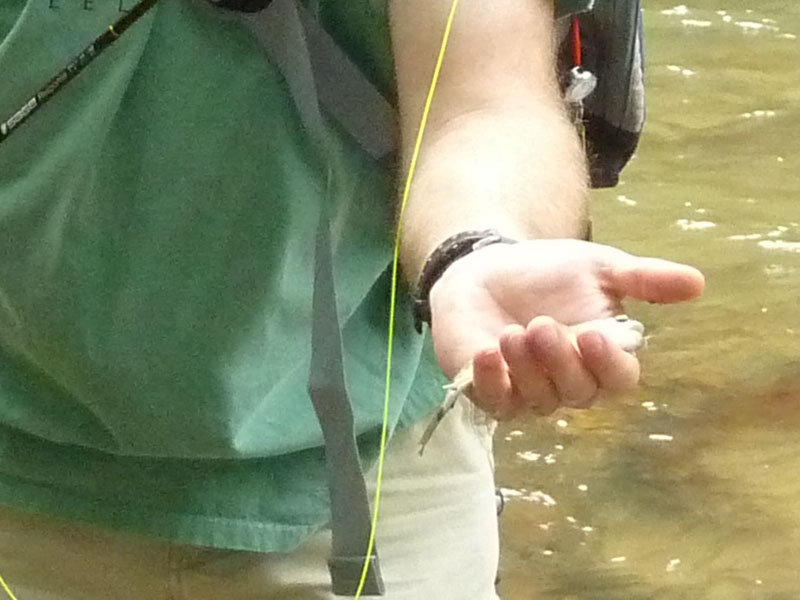 He wasn’t very big (scarcely the size of my hand) but he was a trout…and he was mine! I guess I need a new photographer. I didn’t realize how poor these were going to turn out. 🙁 Oh well. I made several attempts to work my way upstream to no avail. The brush kept my heart in my throat with the fear of snapping my rod. I ran into a few other anglers (only one other fly angler) and saw none with more than two fish. I made several attempts and tried a few of the flies I’d picked up but nothing worked. I’ll chalk that up more to inexperience than the river or the flies. Despite the lack of fish in my net I had a great time. Standing in the middle of a rushing river staring out at the beautiful landscape surrounding me with fly rod in hand opened my eyes to the wonder of trout fishing. For lack of a better way to describe it, I’m hooked. In fact I’m already planning the trip I should’ve planned this time and hope to tackle the true trophies over Labor Day. I have a few months to hone my casting and learn to read the water. Of course I also plan on having a guide to point me in the right direction. I’m not ready to give up on the redfish and saltwater species but there is a certain allure to trout fishing that I believe will keep calling me back to the mountains. Gads! I’m 0 for 2 on fishing in the Slayer. So far I’ve made it out twice and ended up skunked both days. I didn’t really expect too much yesterday since low tide was around 9:30 and there wasn’t any way I could make that. Fortunately I didn’t have to deal with the storm, though. It was dark and thundering but I used my new Standard Horizon HX300 marine radio to learn that it was moving south. I never got even a drop of water. In addition to the radio I was also able to try my new Yak Attack ParkNPole. After nearly losing my stakeout pole last weekend I decided I wanted one that floated just in case I forget to tether it. I opted for the 6′ model and I’m glad. It makes it a little harder to pole since it’s short when standing but I can’t imagine trying to deal with a 8′ pole when trying to stake out while seated. It was awkward enough with the 6′. I have to say that I really like this pole. It’s thicker than my current one which makes it a little easier to grab. The foam grip is a mixed bag. It’s really nice to have something easy to grip when removing the pole from the mud but after poling it’s nasty to have that muck stuck all over the handle. The plastic handle is awesome. While I was mostly in mud I did hit a section of tough oyster bottom. I actually didn’t think I was going to have any luck but I was able to put enough downward force to pierce through. There was a pretty strong current and I was held firm. 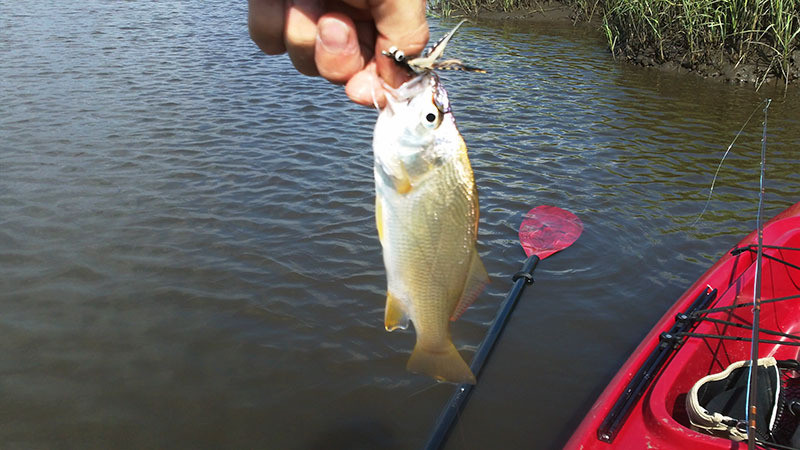 While I didn’t manage to catch anything I did get some more practice in the yak standing to both fish and pole. I worked on my casting in the wind as well and I’m getting better. I just need to load the rod more consistently. I’ve been remiss in saying my thanks here (at least I tweeted about it). This year started off very lucky for me. Another activity I enjoy is hiking/backpacking and a big part of that for me is my hammock setup. I had the honor of winning close to $400 in gear at a hammock event in Feb. I wasn’t expecting anything big from this year’s Fly Fishing Film Tour. However, the raffle gods smiled upon me once again. The Tour continues to get better. I think the consensus was that we enjoyed seeing a little more saltwater fishing. No offense, but trout after trout gets a little old when you can’t relate 100%. During intermission they held the raffle and I was just ready to ride it out. 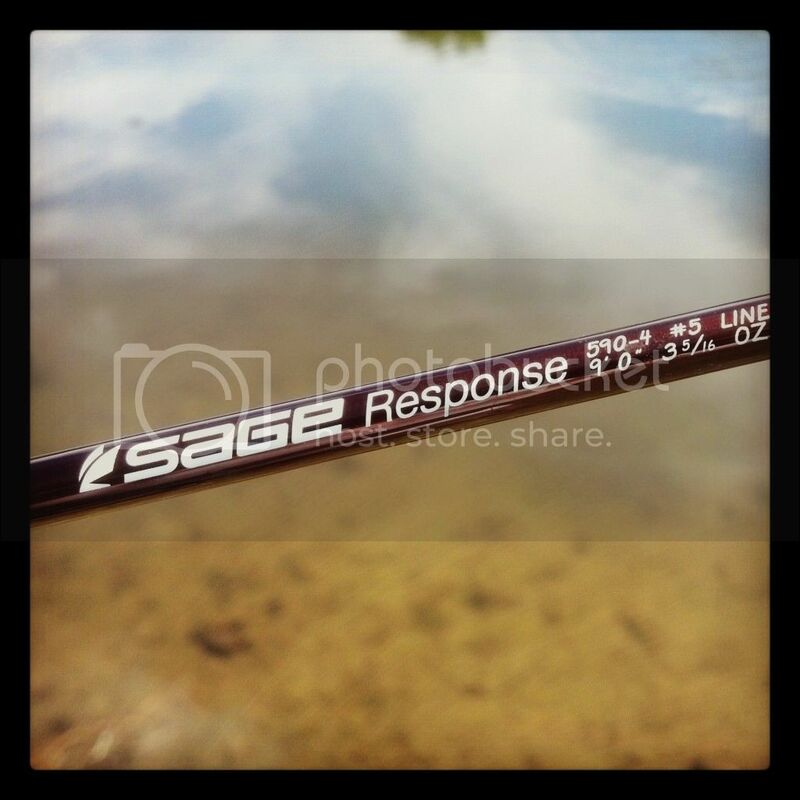 The first few items were raffled off and then they got to the golden prize (ok, it wasn’t the top prize but it was #2)…a gorgeous Sage Response 5-weight rod. The guy doing the drawing said he was going to pull from the bottom. Hmm, I was on the bottom. Could it happen? A card was plucked from the Yeti cooler. He stared. No, it couldn’t be. He said my first name. I knew he was trying to figure out my last name so I said it for him. I WON!! I REALLY WON!! I can honestly say of the few things I’ve won over the years this has to be the coolest! Now here’s the kicker. For months I’d been in the market for a 5-weight rod. 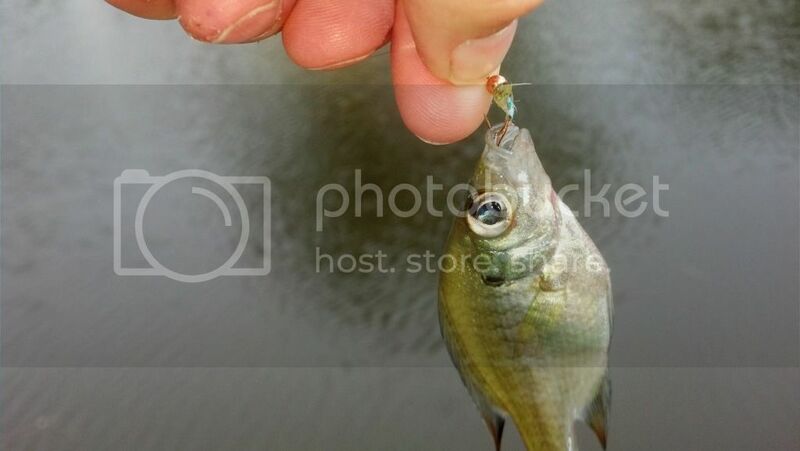 I’ve been doing a lot of bluegill fishing with my son in the retention pond across the street and the 8-weight isn’t much fun. I also have a burning desire to head north for some trout fishing and thought a 5 would be perfect. And now I have one! Of course the rod was only half the battle. This led me to continue supporting my local fly shop. I picked up a Scientific Angler line and a Ross reel to complete the package. 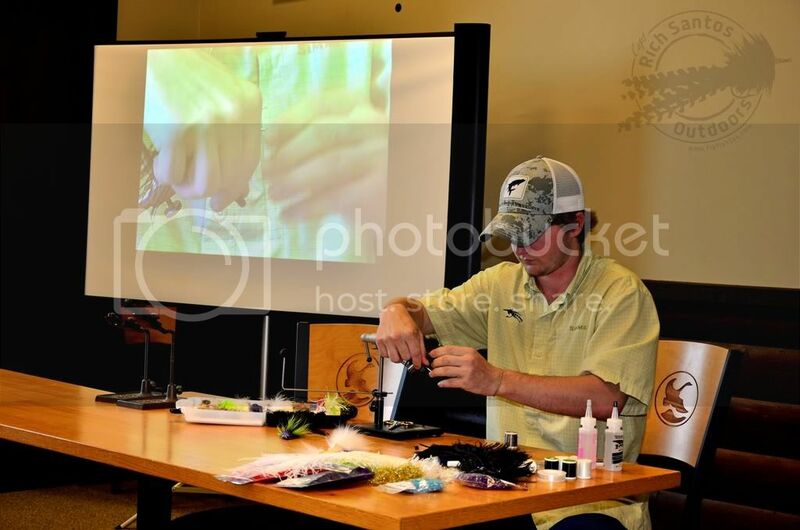 So thank you Sage, Fly Fishing Film Tour, and all the sponsors! If you’ve been coming back here for updates I sincerely apologize. I got wrapped up with other things and stepped away from the fishing for a bit. I was shocked to realize how long I’d been away. Hopefully that’s all about to change. My first kayak as I entered the world of kayak fishing was a Pelican Eclipse 116. For whatever reason I didn’t like how it tracked at all and it seemed to take on water like the Titanic. Inside, not out. Maybe it was an anchor trolley install gone wrong. In addition to taking on water it was a very wet ride on the outside and I got tired of sitting in water for hours on end. It became a chore to paddle out to the fish and I wasn’t enjoying it much. 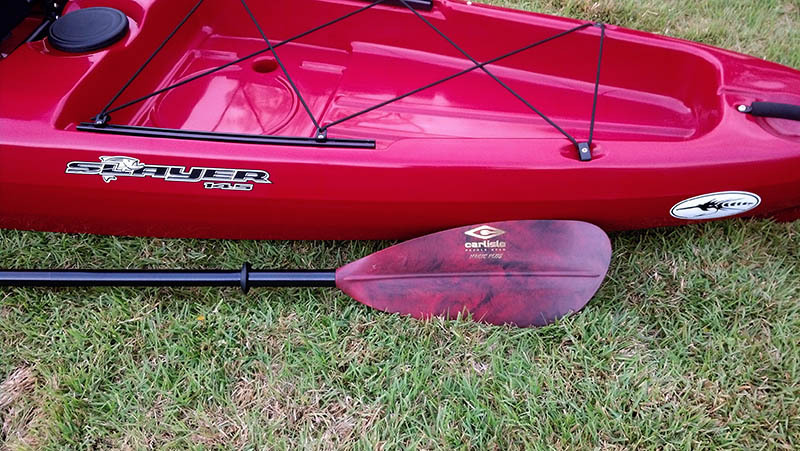 I’ve been on a long journey in search of a new kayak and have finally reached the end. Yesterday after work I took delivery of a new Native Slayer 14.5. I took the 12 out for a test (unfortunately the store with the 14.5 has no way to demo) and fell in love. I found it tracked well and was stable both seated and more importantly standing. 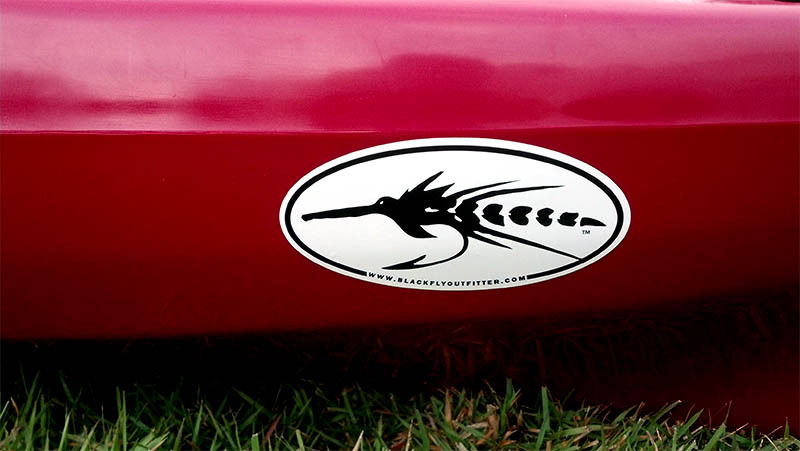 As a fly angler I ran into a lot of issues finding the right boat. 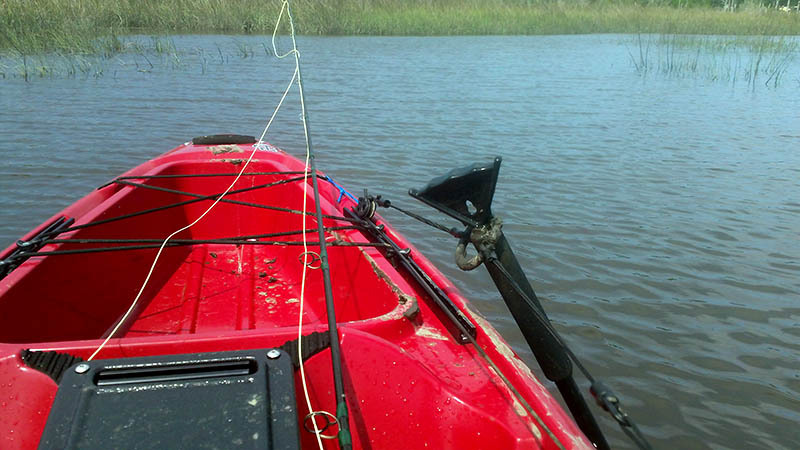 So many fishing kayaks are littered with numerous rod holders, a massive console, lids everywhere, etc. These are great for most anglers but can wreak havoc on your fly line. Imagine sighting a beautiful red 30′ away. You make a perfect cast. The line sails through the guides…and jerks to a halt landing 15′ from the fish. You look down and find your line wrapped around a rod holder. When you look back up the fish is gone. This is exactly what I’m trying to avoid and why it’s taken so long. I didn’t realize it would be such an ordeal finding a clean boat. Not only did it need to be clean, though, but it also had to be very stable. I want to be able to stand both while paddling and fishing to improve my odds of sighting fish. And one of the largest requirements is that I stay relatively dry and very comfortable. This led me to two models: Malibu Stealth and Wilderness Systems Ride. Neither of these met my needs 100% but they were the closest I felt I’d get. I really liked the Stealth but didn’t like the seat. I liked the Ride but didn’t like the layout. Then I found the Slayer. The Slayer is brand new. So new, in fact, that I was the first to get the demo wet. Even the store employees hadn’t tried it. Accessories are still off in the distance. Few can answer questions about it. But I knew in my heart that this was the boat. The 12 was great but I knew the 14.5 would be even better. It didn’t disappoint. I struggled over the color and while I originally thought I’d go for a sand or olive something kept leading me to Firebrick Red. I have to say that I absolutely love it and I’m looking forward to everyone knowing who’s paddling by. 🙂 I love the clean lines and the mostly clean deck. I’ll probably remove the tackle box holder on the deck since I won’t be needing it and it’s one of the few snag hazards. 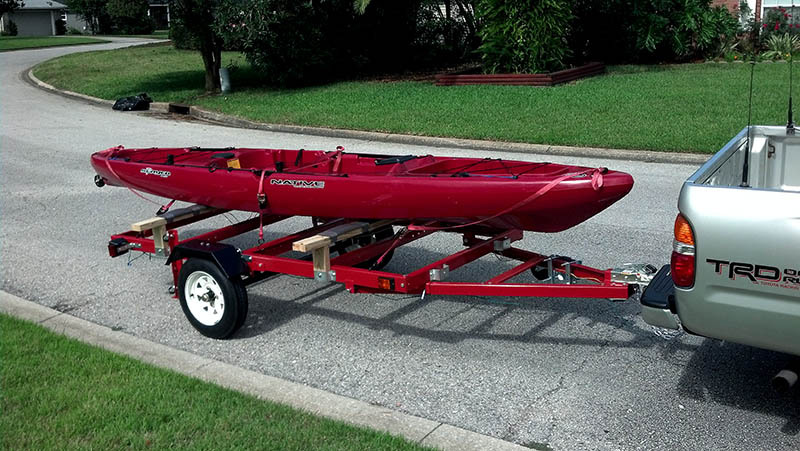 It’s got a great layout with plenty of storage fore and aft. I do wish it had come with plugs for every scupper. Now I have four that I can’t plug without buying more. It’s a minor annoyance, though. I managed to get it wet in the retention pond by the house for just a couple of laps between storms. I hope to get an anchor trolley installed this week and then hopefully I’ll have some great fish to share after the weekend. 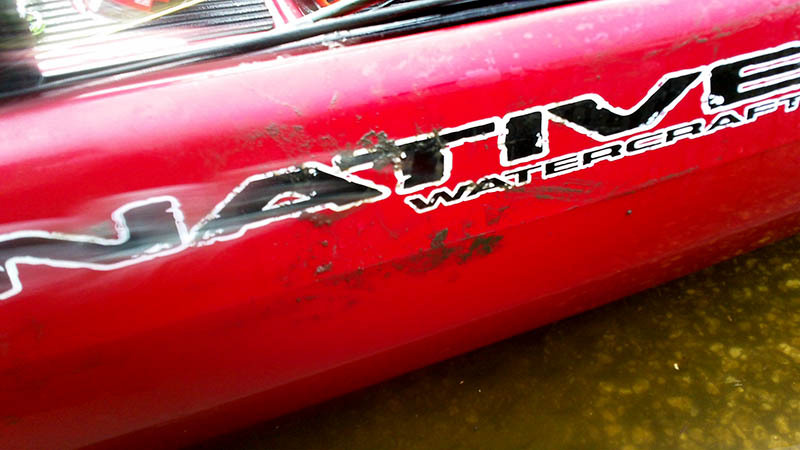 If you’re shopping for a new boat and are getting discouraged, don’t give up. It just takes a little patience that pays off in the end. 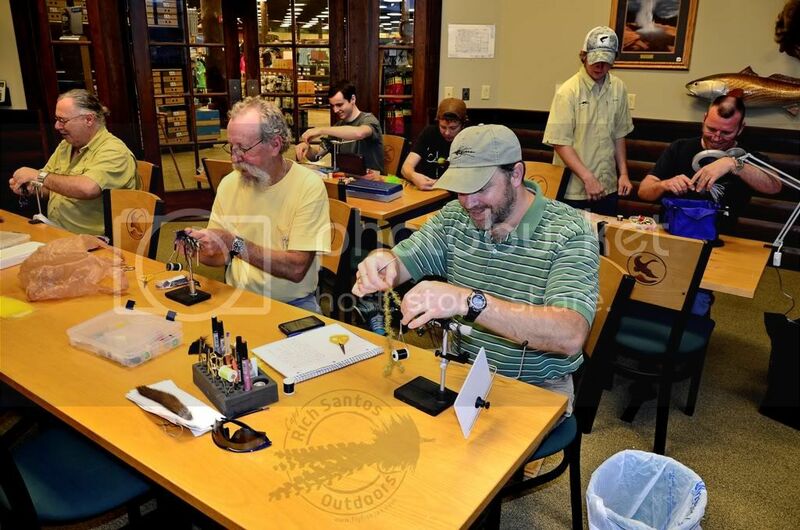 Last week we had our latest fly tying night at Gander Mountain. We had another good turnout and a great time. Capt. 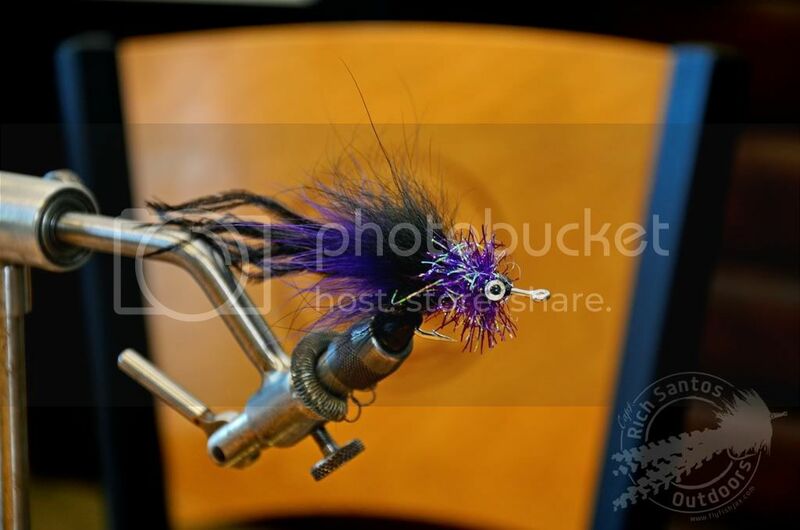 James Ferguson from Black Fly Outfitters shared his Crosseyed Eel cobia fly for those offshore days. This month we stepped things up a notch. Rather than having folks struggle to see what’s going on at the tying desk we introduced live video. Now you can listen to the steps and watch up close on the big screen. 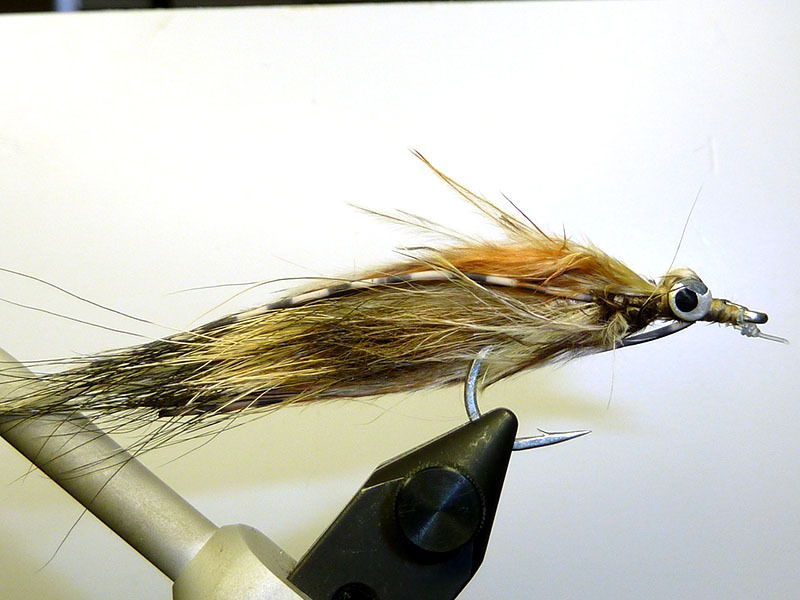 Next on the agenda is recording each fly to produce video step-by-step guides. 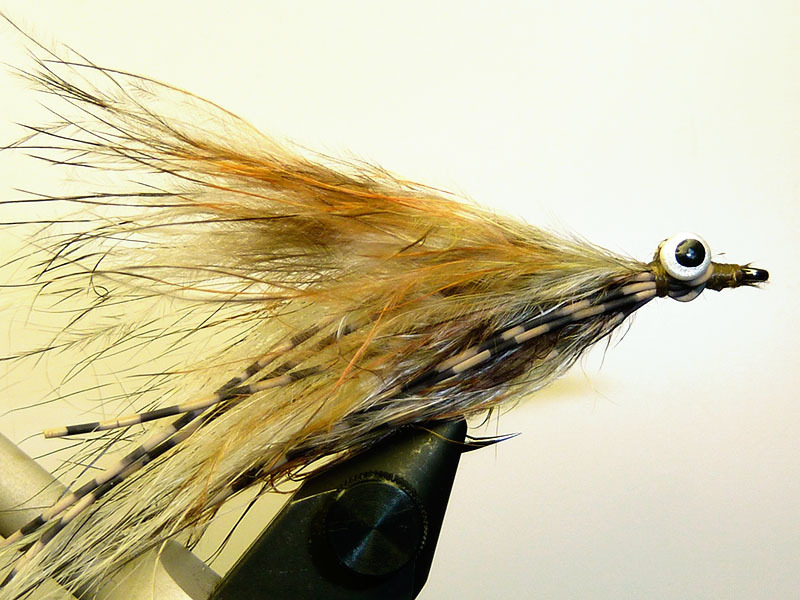 The Crosseyed Eel is a nice blend of ostrich herl, marabou, finn fox, estaz, eyes, and epoxy. Look at all the fun you could be having!